Doménikos Theotokópoulos, commonly known as El Greco (1541-1614) was a major painter, sculptor, and architect of the Spanish Renaissance. 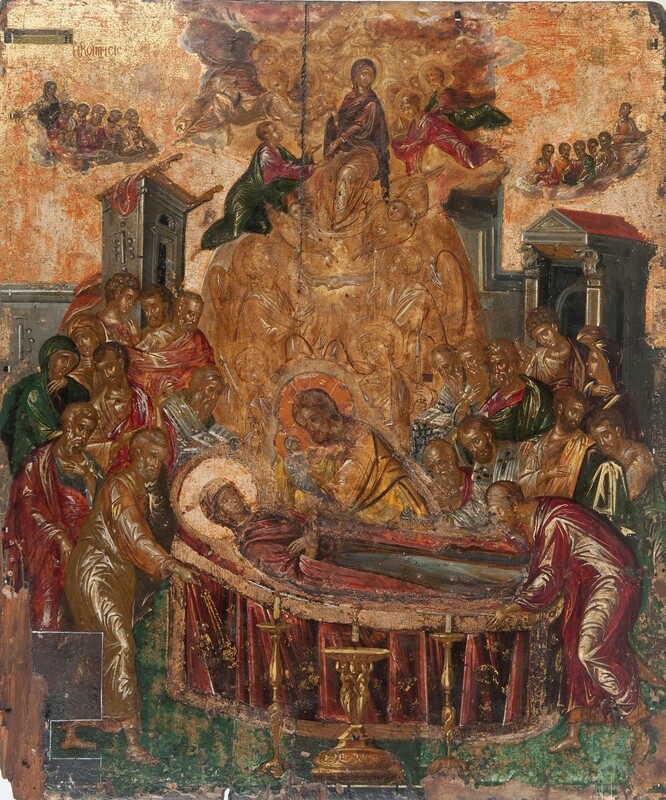 Born in Crete, which was part of the Republic of Venice at the time but still commonly thought of as a part of Greece, he originally trained in Post-Byzantine art, of which Crete was the center. He then traveled to Venice and Rome and trained in the Italian tradition, learning from Renaissance and Mannerist painting. 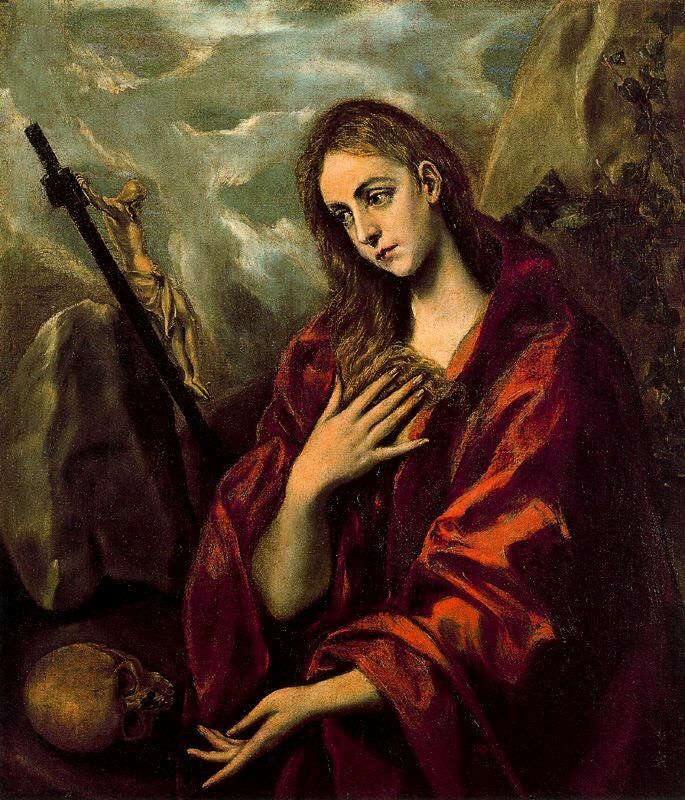 In 1577 he moved to Toledo, Spain, where he lived and worked until his death, creating his best known paintings, often with a religious theme. There he received his nickname of El Greco, where Greek painters were significantly rarer than in Italy. However, during his life it was only ever a nickname and he signed all his works with his full name and in Greek lettering. 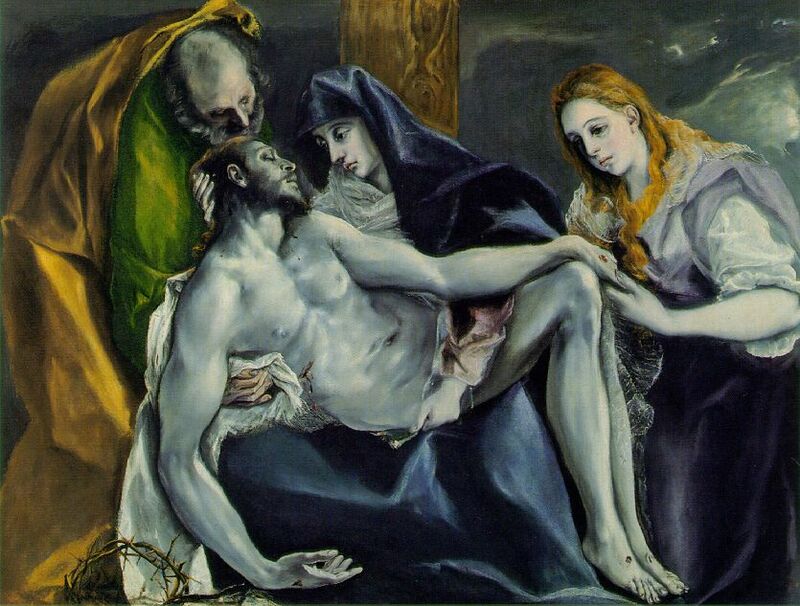 Simply put, El Greco was incredibly ahead of his time. Although it is easy to trace his influences and the tradition he is working in, he injected his works with a type of emotionality and expression that was unparalleled in his day. 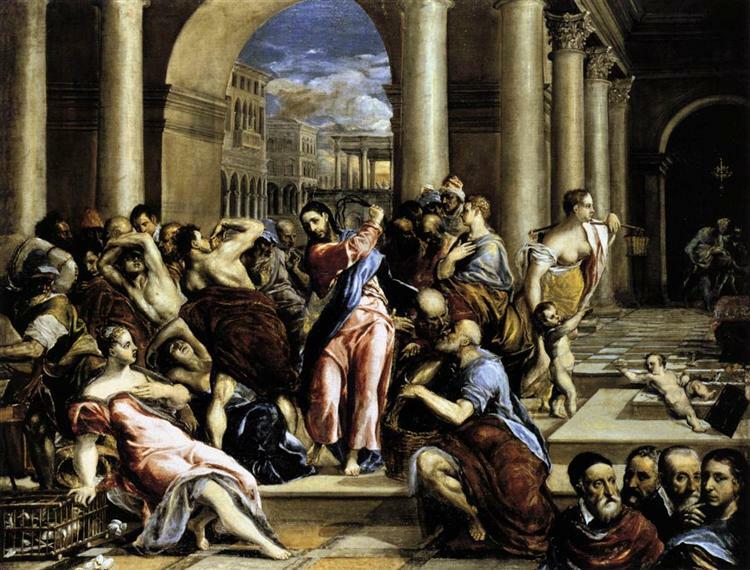 El Greco prefigured and/or influenced all types of modernism and expressionism that has occurred in the last century and a half of western art, from Impressionism and the landscapes of Turner and Monet, to the Picasso's Cubism, to Pollock's Abstract Expressionism. View of Toledo is one of El Greco's most famous paintings, and one of only two landscapes that survive from him. The intense expressivity of the sky and clouds cast a dark light over the landscape. Even the contouring of the hills expresses the emotional tenor of the scene. We can feel the wind gusting through the trees and grasses that creates those roiling clouds, while the stone of the city stands unmoved. Notice the stark contrast in coloring between the green-brown of the land and the grey-blue of the sky. The painting seems to exist in both night and day at the same time, creating a sense of unease and unnaturalness; such is the extent of this weather effect that it becomes supernatural. Here is a very large image of the painting so I encourage you to click on it to view the intense detail of the work, particularly the velvety blackness of the sky surrounding the tallest towers of the city.